We reserve the right to update these Terms from time to time at our discretion. We may do so for technical or legal reasons, or because the needs of our business have changed. You agree that if you do not accept any amendment to our Terms then you shall immediately stop accessing and/or using the Site. If we reasonably believe that the change to the Terms is significant, we shall notify all registered users by email. Otherwise, updated Terms will be effective as soon as they are accessible. You are responsible for regularly reviewing these Terms so that you are aware of any changes to them. 1.3 The Site operates as a platform for driving instructors and driving students to connect, book lessons, pay for those lessons and receive feedback. Go Beep Beep does not provide driving lessons itself. Site Content: all materials and content including on the Site, including all information, data, text, images, recordings and software excluding any content posted by an Instructor and/or a Student. you: any user of the Site, including an Instructor and/or a Student. 2.2 In these Terms (a) headings are for convenience only and do not affect interpretation; (b) words in the singular include the plural; and (c) including means including but not limited to. 2.3 Any reference to a statutory provision shall be a reference to such provision as may be updated or amended from time to time. 3.1 When you register with the Site you must provide your email address and choose a password. You are responsible for keeping your password confidential and you are responsible for any activity under your Go Beep Beep account. Please take precautions to protect your password and contact us immediately by email at support@gobeepbeep.co.uk if you believe there has been any unauthorised use of your Go Beep Beep account. 3.2 When you use the Site you must comply with all applicable laws. In particular, but without limitation, you agree not use the Site for any unlawful purposes or to try to gain unauthorised access to the Site or any networks, servers or computer systems connected to the Site and/or reproduce, redistribute, sell, create derivative works from, decompile, reverse engineer, or disassemble all or part of the Site save to the extent expressly permitted by law not capable of lawful exclusion. 4.1 If you wish to register as a Student on the Site, you can also do so through your Facebook, Google+ or Twitter account. You agree that if you register in this way, we shall receive personal data relating to you from those accounts. 4.2 To register as a Student, you must be (a) at least 17 years old; (b) legally capable of entering into a contract; and (c) hold a valid provisional car driving licence within the UK and/or the EU which allows the Student to drive under appropriate supervision in the UK. At our request, you shall provide evidence of your compliance with this Condition 4.1. 4.3 You may use our Site to search for and book a Lesson with an Instructor. When you book the Lesson, we take payment of the Fee on behalf of the Instructor. You agree that on booking the Lesson you are entering into a contract with the Instructor, and not with us, for the provision of the Lesson. You should contact the Instructor for their terms and conditions for the provision of their services. As a result, we are not responsible or liable to you in relation to the provision of a Lesson. We do not recommend or endorse any Instructor or the quality of their Lessons. 4.4 Following your Lesson, we ask Instructors to complete your report card on the Site. Only you, Go Beep Beep and your Instructor can access and view your report card. 5.1 If you wish to register as an Instructor on the Site, you must (a) have the authority to bind any organisation that you purport to represent and be at least 21 years old; (b) be a qualified and approved driving instructor registered with the Driver and Vehicle Standards Agency; (c) have in place and maintain fully comprehensive motor insurance allowing you to provide driving lessons; (d) own a dual controlled car with a current MOT certificate and fully paid vehicle excise duty. At our request, you shall provide evidence of your compliance with this Condition 5.1. 5.2 The Instructor shall provide such additional information as is required on the Site, including details of the Fee for each Lesson. All such information must be accurate and up-to-date at all times. 5.3 The Instructor must also keep its schedule of availability for Lessons up-to-date within the Site. The Instructor agrees that Go Beep Beep and the Students rely on the accuracy of the Instructor’s schedule, and if the schedule is frequently found to be out of date and Lessons are cancelled by the Instructor, this shall be considered a material breach of these Terms. 5.4 Instructors shall attend a Lesson promptly and shall provide all instruction in a Lesson to the best of its ability, with reasonable skill and care and in accordance with all applicable laws and regulations. You agree that you are directly responsible to the Student for your own acts and omissions in relation to the Lessons. 5.5 Following a Lesson, the Instructor shall complete the report card and shall keep confidential all content of a Student’s report card. All content included on a report card by an Instructor must be appropriate in the context of an Instructor/Student relationship, reasonable, accurate, up-to-date and not misleading in anyway. 5.6 Instructors shall treat all personal data and other information relating to a Student as confidential and keep all such information secure, and not share such information with any third party, or use such information for any purpose except to provide Lessons to the Student. Instructors shall take appropriate security measures (including physical, electronic and procedural measures) to help safeguard personal data from unauthorized access, loss and disclosure and shall otherwise comply with all applicable laws and regulations relating to data protection. 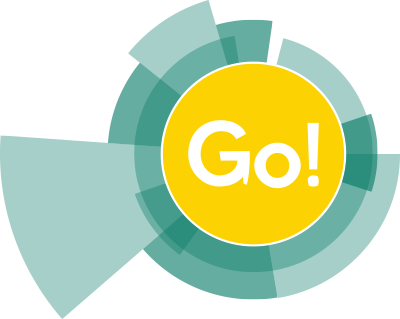 5.7 Instructors agree that Go Beep Beep shall be entitled to reproduce and use the Instructor’s name and associated logos within publicity for the Site and for the Go Beep Beep business. 5.8 The Instructor is not and shall not be deemed to be an employer of Go Beep Beep at any time. The Instructor, if an individual, must be self-employed and registered as such with the Inland Revenue. 6.1 Students shall pay the Fee for each Lesson when the Lesson is booked. Payment is made through our payment service provider, PayPal. By booking a Lesson, Students authorise PayPal and us to process payment of the Fee together with any payment processing charge imposed by PayPal. 6.2 If an Instructor is for any reason unable to provide the Lesson, the Instructor shall immediately notify Go Beep Beep and the Student by email, and shall attempt to reschedule the Lesson. If it is not possible to reschedule the Lesson, the Student shall be entitled to a full refund of the Fee on notification to us by email. 6.3 A Student is entitled to re-schedule a Lesson up to 3 times. If a Student is unable to attend a Lesson having already rescheduled that Lesson 3 times, no refund of the Fee shall be due to the Student. 6.4 Within 1 (one) month of completion of the Lesson, Go Beep Beep shall to the Instructor pay the Fee, less Go Beep Beep’s then current commission fee. Go Beep Beep shall notify the Instructor by email of any changes to its commission fee from time to time. We shall pay all sums due to the bank account details that the Instructor has provided to us together with an emailed remittance advice. The Instructor is responsible for all taxes due and payable in respect of all sums received from Go Beep Beep under these Terms. 6.5 For the avoidance of doubt, the Instructor shall not request direct payment of any sums from the Student. If an Instructor does so request direct payment from a Student, the Student shall promptly notify us at HYPERLINK "mailto:support@gobeepbeep.co.uk" support@gobeepbeep.co.uk accordingly. (e) give rise to any cause of action against Go Beep Beep. 8.1 We will use reasonable endeavours to maintain and make available to you the Site available at all times. However, there may be occasions when access to the Site may be interrupted, including for scheduled maintenance or upgrades, for emergency repairs, or due to failure of telecommunications links and/or equipment. We shall use reasonable endeavours to notify all users of any scheduled maintenance or upgrades, and to schedule such maintenance and upgrades outside of normal working hours. However, you agree that we have no liability to you for such interruptions. 8.2 For the avoidance of doubt, we shall also not be liable if you are unable to access the Site for any reason within your control, including your failure to use appropriate equipment or insufficient bandwidth. 9.1 You agree that Go Beep Beep has no responsibility and/or liability for any errors or omissions in any content posted by an Instructor or a Student. We accept no obligation to verify or review such content. Furthermore, we do not warrant that any Student shall find a suitable Instructor, or that an Instructor shall be engaged to provide Lessons by a Student. 9.2 If you are an Instructor, Go Beep Beep shall in no circumstances be liable to you in contract, tort (including negligence) or otherwise for any direct or indirect losses you may suffer as a result of use of the Site, including (a) loss of profit, anticipated profits or business; (b) loss of data; (c) loss of opportunity; (d) loss of revenue; (e) loss of goodwill or reputation; and/or (f) consequential, special or incidental loss or damage (whether or not advised of the possibility of the same). (b) if there is a problem with the Lesson, you should contact the Instructor. We have no liability for the actions of the Instructor, but please note our dispute procedure in Condition 11. 9.4 Nothing in these Terms shall be construed as excluding or limiting our liability for death or personal injury caused by our negligence, for fraud or fraudulent misrepresentation or for any other liability that cannot be excluded by English law. The Instructor shall indemnify and keep indemnify and held harmless Go Beep Beep from and against any costs, claims, losses, damages, expenses and liabilities that Go Beep Beep may suffer or incur arising as a result of any claim or allegation from a Student or any third party relating to the acts or omission of the Instructor. 11.1 If there is a dispute between a Student and an Instructor, the parties shall work together acting reasonably to resolve the dispute subject to the provisions of the Instructor’s terms and conditions. 11.2 If you are unable to resolve the dispute, you may contact us and we shall review any dispute raised with reasonable skill and care and you agree to assist us to do so. You agree to comply with our decision relating to a dispute, including in relation to any refund due and payable. 11.1 The copyright in all Site Content is owned by or licensed to Go Beep Beep. All rights are reserved. You can view, print or download extracts of the Site Content for your own use. You cannot otherwise copy, edit, vary, reproduce, publish, display, distribute, store, transmit, commercially exploit, disseminate in any form whatsoever or use the Site Content without our permission. 11.2 You acknowledge that GO BEEP BEEP is a trade mark, and you may not use or reproduce the mark without our prior written consent. 12.1 We reserve the right to suspend or terminate the account of an Instructor or a Student at any time and without liability (a) if any information that you provide to us is not true, ceases to be true, or we cannot verify or authenticate any such information; (b) you are in breach of these Terms; (c) you are convicted of a criminal offence or act in any way that may bring Go Beep Beep into disrepute; (d) after a six (6) months continuous period of inactivity; and/or (e) if we receive frequent complaints or disputes are frequently raised in relation to your activities on the Site. 12.2 Without prejudice to the provisions of Condition 12.1(b), if an Instructor requests direct payment from a Student or otherwise has a separate monetary arrangement with a Student, then (a) the Instructor’s account will be immediately terminated; (b) the Instructor will be banned from the Site, and any other Go Beep Beep network for an indefinite period; (c) the Instructor will not be paid any outstanding amount held by Go Beep Beep; and (d) the Instructor shall have no right to use any Go Beep Beep profile or refer to the Go Beep Beep brand in any way whatsoever. 12.3 Following termination by us of your Go Beep Beep account you must cease to use the Site and you must not re-register on the Site under any other name. 12.4 You may contact us at any time to terminate your Go Beep Beep account, and provided there are no outstanding sums due or payable, we shall delete the account within 10 days of receipt of such a notice. 13.2 If any provision of these Terms is held by a court of competent jurisdiction to be invalid or unenforceable, then such provision shall be construed, as nearly as possible, to reflect the intentions of the parties and all other provisions shall remain in full force and effect. 13.3 Our failure to exercise or enforce any right or provision of these Terms shall not constitute a waiver of such right or provision. 13.4 We may assign or otherwise transfer our rights and obligations in terms of these Terms to third parties. 13.5 We are committed to ensuring that there is no modern slavery or human trafficking in our supply chains or in any part of our business. 13.6 If you are a consumer and you have any complaint or wish to raise a dispute under these Terms or otherwise in relation to the Site please follow this link HYPERLINK "http://ec.europa.eu/odr" http://ec.europa.eu/odr. These Terms shall be governed by and construed in accordance with English law and you agree to submit to the exclusive jurisdiction of the English Courts. 14.1. We both acknowledge that these Terms are concluded between you and us only, and not with Apple, and therefore, we, not Apple, are solely responsible for the App and the App Content. 14.2 The licence granted to you for the App is limited to a non- transferable licence to use the App on an iPhone, iPad or iPod touch that you own or control and as permitted by the Usage Rules set forth in the App Store Terms and Conditions. 14.3 We, not Apple, are solely responsible for providing any maintenance and support services with respect to the App, as specified in these Terms. We both acknowledge that Apple has no obligation whatsoever to furnish any maintenance and support services with respect to the App. 14.4 We are solely responsible for any product warranties, whether express or implied by law, to the extent not effectively disclaimed in these Terms. In the event of any failure of the App to conform to any applicable warranty, you may notify Apple, and Apple will refund the purchase price (if any) for the App to you. To the maximum extent permitted by law, Apple will have no other warranty obligation whatsoever with respect to the App, and any other claims, losses, liabilities, damages, costs or expenses attributable to any failure to conform to any warranty will be our sole responsibility. 14.5 We both acknowledge that we, not Apple, are responsible for addressing any claims by you or any third-party relating to the App or your use or possession of the App, including, but not limited to (a) product liability claims; (b) any claim that the App fails to conform to any applicable legal or regulatory requirement; and (c) claims arising under consumer protection or similar legislation. 14.6 We both acknowledge that, in the event of any third-party claim that the App or your possession and use of the App infringes that third-party’s intellectual property rights, we, not Apple, will be solely responsible for the investigation, defence, settlement and discharge of any such intellectual property infringement claim. 14.7 You represent and warrant that (a) you are not located in a country that is subject to a U.S. Government embargo, or that has been designated by the U.S. Government as a “terrorist supporting” country; and (b) you are not listed on any U.S. Government list of prohibited or restricted parties. 14.8 We both acknowledge and agree that Apple, and Apple’s subsidiaries, are third-party beneficiaries of these Terms, and that, upon acceptance of these Terms, Apple will have the right (and will be deemed to have accepted the right) to enforce these Terms against you as a third-party beneficiary thereof.